Making a full lasagna may not be practical if, like me, you are usually making a meal for two. 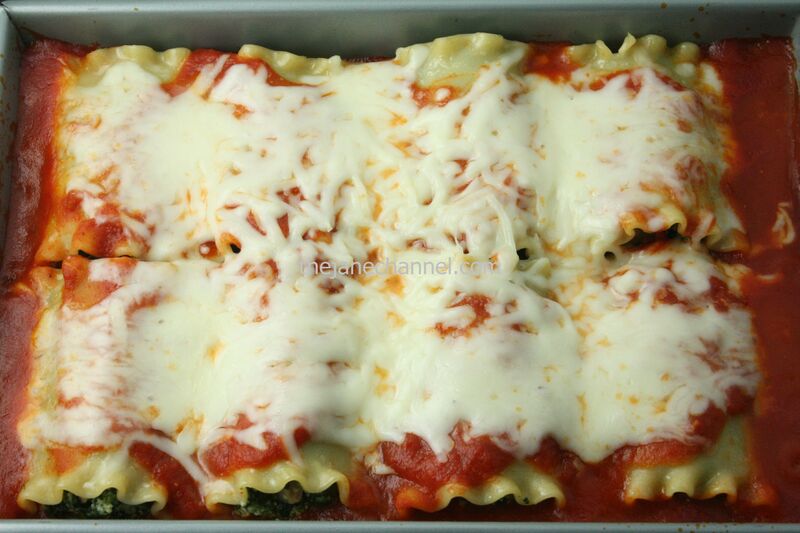 Lasagna rolls on the other hand allow for flexibility in controlling the portion size and are also very easy to make. You may add more or less ingredients depending what you have on hand, and there is also a lot of flexibility in using healthier alternatives in the ingredients. It’s ready in a fraction of the time and with much less effort! Bring a large pot of salted water to a boil. Add the lasagna noodles and cook until al dente (usually about 30 seconds to a minute less than the package instructions recommend). Drain and toss with just enough oil to coat (to keep them from sticking). Brown the sausage in a large saute pan over medium heat until cooked through. Add garlic, spinach, pepper flakes, and nutmeg and cook until the spinach is warmed through. Season with salt, basil, Italian seasonings, and pepper. Remove from heat and let cool slightly. Combine with the ricotta in a large mixing bowl. Preheat the oven to 400F. Spread a thin layer of the marinara on the bottom of a 13″ x 9″ baking dish. Lay out the noodles on a cutting board and cut each in half cross-wise. Working one strip at a time, place a large spoonful of the spinach-ricotta mixture at the end of the noodle, then roll into a tight package (but not too tight or the filling will squeeze out). 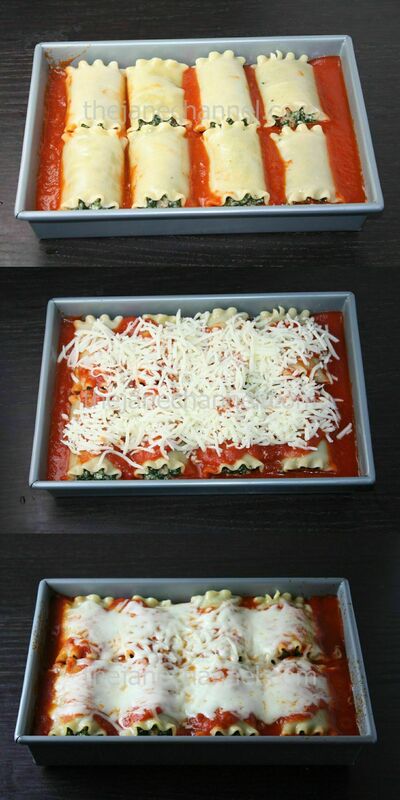 Continue until you’ve run out of the ricotta-spinach mixture, about 8 lasagna rolls. Place the rolls in the pan as you complete each one. Top the lasagna rolls with the remaining marinara, then with the mozzarella. Cover with foil and bake for 15 minutes. Remove the foil and bake for another 2 minutes, until the cheese and sauce are bubbling. Sprinkle Parmesan cheese on top to serve. Source: Cook This, Not That with modifications.